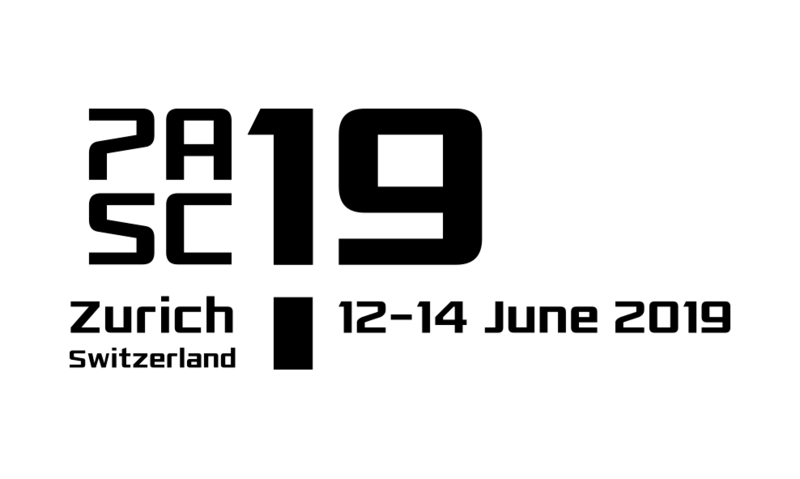 The Platform for Advanced Scientific Computing (PASC) is delighted to launch a Call for Participation to its next conference (PASC15) to be held on June 1 through 3, 2015 at the Swiss Federal Institute of Technology in Zurich, Switzerland. Help us advertising the conference: Download and display the poster! 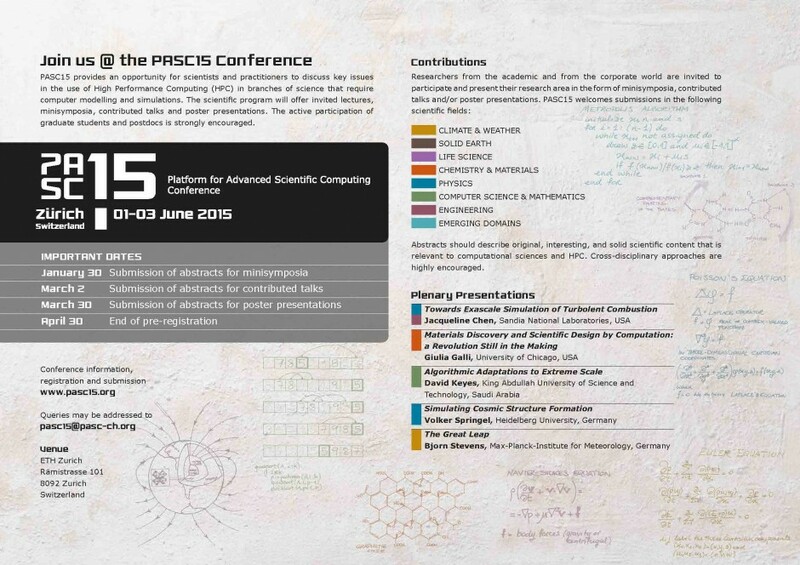 PASC15 Conference is inviting researchers from diverse scientific background to promote interdisciplinary collaboration and exchange of expertise in HPC and computational science. The conference is an opportunity for researchers and practitioners in branches of science that require computer modeling and high-performance simulations to discuss computational techniques and technologies. PASC15 Conference seeks to engage participants from the academia, research labs and industry to address important issues in HPC and computational science resulting from applications of interest to society and hardware innovations. PASC15 Conference will offer four plenary sessions, one public lecture, 24 mini symposia with each up to eight talks, 80 contributed talks, one inter-PASC Networks discussion, one joint plenary session with the satellite conference Frontiers in Computational Physics, a poster session, and information stands. Abstracts are to be submitted using the online submission system. Cross-disciplinary approaches are highly solicited. Please refer to the PASC15 website for further information about the conference and the supporting organization.